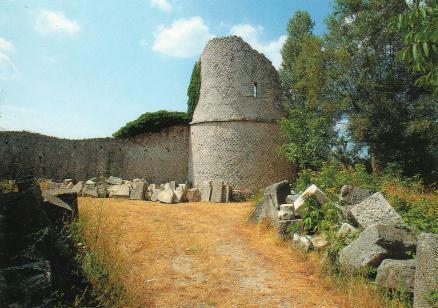 o archeological zone of Casalpiano it is placed in a' spacious flat surface of middle hill mail to the margin of the low Molise and go through from the course of the river Biferno. The landscape is characterized from the tratturo Conceal - Shape, important road In land stroke that it finds here one of the better strokes preserved. In the period republican questo territory was part integrating some ager of the ancient one Larinum. In time of lapse questo (IV-THE sec. to. C.) the zone presented a series of installations fortified among which some of good dimensions; between the most significant they go annoverati that of Ferrara I press Lucito, that of mountain Mauro I press Castelmauro, that of Guardiola I press Guardialfiera and that of Gerunium I press Casacalenda. To you were able to to be added the vicus of Sicalenum, whose name there is today known across a Roman important enrolment deliberate from the incolae Sicaleni and preserved in a church of Casacalenda; it be us confirmation the antiquity of the Name of Casacalenda: Casa(le)(si)calena. 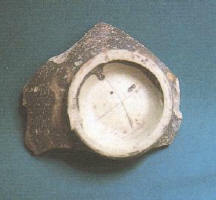 Other rural installations, that find documentation for also successive periods, I am likely to place to Olivoli and to S. Barbato, always in the sour one of Casacalenda (here were rinvenute, between other archeological materials, also some Roman enrolments (CIL, IX, 737, 77), and in locality Vicenne - Source May, in the crowds of the close Petrella, where is to recognize the presence Of a Roman villa of property of the gens Apia (Benedittis Says 1991, p. 260). The area of Casalpiano likely was interested from some mattering episodes of the second war punica; Annibale in fact, in 217 to. C., it is directed in these zones with the intention of to deposit the booty taken to the Romen and Of to pass the winter to Gerunium. In questo circumstance the tribe sannite underwent the weight of the fist of iron of Annibale in more of an occasion, perhaps because egli wanted to convince them that Rome was leaving them to its not too much Tender power. Likely for questo attitude the populations sannite themselves approached in Rome and actual furono their, the same year, to inflict the before defeated To the Cartaginesi. L' timely appearance near Gerunium of eight thousand men of the fanteria sannita and of five thousand guided knights from the pentro Tenth Numerio of Bovianum, It saved from the defeat The Romans M. Minucio Rufo, turbulent magister equitum Of the Fabii, and Annibale was compelled to withdraw itself with some loss (Salmon, p. 313). Around Gerunium, between the fields of grain plundered from Annibale in time of lapse questo for recuperare the vettovaglie that were lacking I am him likely from Annoverare also those of Casalpiano. Here in fact, under The church of S. Maria, already rose a rural installation of whom us stay little, but significant tracks consisting in fragments of ceramics to paint black risalenti to questo I make sentences, thing that itself meeting place also in other sites (Llyod 1991, pp. 261 - 262). Rural Questo installation, most likely actual to continue some succitato conflict, will be broadened and modernized; documents dell' importance of the revival they are the floors in signino, sorprendentemente quite preserved, you post to side Of the church of S. Maria. The type of paving consists in the to distribute on the plan, after timely preparation, a mixed layer of malt to fragments of tiles or other material reduced in dust; the technology, quite known to Cartagine, it finds rapid spread also in perhaps actual Italy after them wars puniche; between the captured cartaginesi had to esservi workforces in a position of to realize refined floor of type questo that it is spread In actual Italy after TWO sec. d. C.; I am these the I pave Poenica marmore Numidico constrata (Gaggiotti, pp. 215 - 221). To Casalpiano were rinvenuti until at least four of these You pave of whom two in voucher been of preservation. 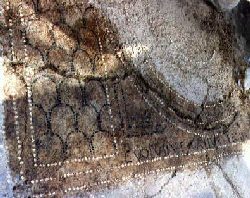 The better one preserved is a floor in beaten white (ballast of concrete composed of white lime, pozzolana and dust, but also scaglie) Said also caementum marmoreum (Middleton, 1, p. 303) decorated from black cards you distribute according to a schemed to reticolo of diamonds delimited from simple Logical riquadratura. Immediately to the side of the precedent it is a floor in signino characterized from small cards bleaches arranged to moderate intervals and delimited from A maze of svastiche and balanced. Of a second floor in signino stay little shreds to the inside of the church under the level pavimentale; it it is characterized from large irregular cards green: to these they will go added also other floors that until now find documentation in fragments rinvenuti outside context like the small relevant tiles to a floor in opus spicatum, so named because the brick came arranged to Thorn of fish. I am these the tests more consisting some revival happened after the TWO sec. to. C.; the more significant part of a country villa are represented that itself propone to the caution of the historical search for the capacity of assimilation of technologies and motive that are themselves imponendo in Italy in questo I make sentences; these data also greater rivestono importance if it is considered the context territorial in which they were rinvenuti, that of the inside Sannio, in which until solid and rich like these structures, bound to the agricultural world, they came retained almost of outside everything in consideration of the culture Pastoral that it should characterize the world sannitico. It is this surely the part more mattering some villa, the pars dominica, the residence of the proprietors than verrà further improved in the beginning Of the empire. They are good witnesses two building strokes in work reticolata, placed One to back of the calidarium and one in the crowds of the present canonica. It is discussed of a type of masonry to full curtain, adopted from the first years of the empire in then, that it finds the documentation more appariscente and significant In the Sannio in the wall of Saepinum. Skilled labor it is asked for; that it would make assume the presence to not local Casalpiano of workforces, perhaps The same that operated to Saepinum. The work reticolata, opus reticulatum, so it was called for the shape of reticolo that they took on the walls; the paramenti express you came realized in fact by means of the superimposition of cubilia, small broken off pyramids with basic quadrangolare that gave to the end the impression Of a net of rumbles. To the construction of these walls the accomplishment of an installation is join Thermal of the most developed type. The termae I am quite notes in The Romans world already from the republican period; native is were warmed up with bracieri (you see for example the tepidarium of the terme of the hole to Pompei); in the beginning of 1 sec. d. C. was invented a new manner of warming that spread themselves rapid and that later on it was adopted also for environments of residence (Guide, Ap. Not., 194; Greatest Valerio, IX, l; Plinio, Naturalis Historia, IX, 54 and XXVI, 3); the merit is attributed to Sergio Orata, industrial known arricchitosi to continue of a happy initiative, that of to cultivate of the oysters in nurseries; was he, to how much seems, to invent the balneae pensiles; the system consisted in the to make to move about under the floors and long the walls the warm air bred from the combustion proveniente from the fireplace (hypocausis, Praefurnium). To such purpose the floor leaned on pilastrini (suspensurae) you adjust distributed and constituted of bessales (brick of about 20 cm of side, 2/3 of Roman foot) and later on of round bricks of the same one Diameter; is quest' last type the present one in the villa of Casalpiano. The termae of our villa present already entire the regulation of the I wet Roman that it was composed of three appropriate rooms: the frigidarium (bath I cool), the tepidarium (warm air circle ove) and the calidarium (warm bath), preceded dall' apodyterium (changing room); this succession got ready to a gradual perfect tense succeeded some bath; to these local goes added the laconicum, The room destined to the essudazioni. The warming of the floor like of the walls came obtained by means of the introduction of vapor warm proveniente from a boiler sotterranea; was therefore a bath of sweat completed with massages and I continue from lavaggi in warm water And cold (Galeno, Methodo Says medendi, XI, 10). It is not clear if in our case you are discussed some balnea minora, relevant to the it leaves country, or of the maiora, those that is to say complex and articulated of the large villas of 1 sec. d. C.; those small they were of rule you post near the kitchen and baked from that received heat; they were these the baths used is from the villicus that from the dominus and, in the festive days, also from the slaves (Columella, Country King says, 1,6). To Casalpiano was individualized with certainty the calidarium; the elements structural to it join they make one think also to transformations immediately from the same terme (a tunnel tampognato in ancient is quite visible on the wall Side of the environment that it follows the calidarium). The presence of coal in the local one that precedes the calidarium (still for good part to explore archeologically) does to think that the praefurnium It is to place in questo environment. in priority the walls presented a developed gap from the so-called tegulae mammatae, I put out flat tiles with of the high prominences in the angles; quest' last it systemizes it rinvenuto in the Sannio in another Roman villa was found in the You press of Gambatesa, in locality Plain of the Walnuts. The walls, sometimes rivestite of me, in our case present affreschi of whom were small rinvenuti shreds policromi during The excavations. The thermal environments to Casalpiano show an orientation slightly different from the other most ancient; of different dimensions, they have also walls you draw near between of them without omogeneità to the general shape of the plant of the Villa, that as the thermal installation dovette to adapt itself to the previous structures. It was in these termae that it did the baths Rectina, quite known character to the archeological world to to be remembered in a Roman epigrafe actual rinvenuta here; the enrolment had been done to memory of the return of this woman, rescued to the eruption of the Vesuvius of 79 d. C.; from that the ara, as former vow, raised from a liberto for the return of the dominates (Van Buren, Pp. 73 - 85). L' enrolment in fact did ricollegare our Rectina to that remembered in a letter of Plinio the Young one (Plinio the Young one, Epistulae, VI, 16) in which the Latin writer remembers the moments and the causes of the death Of its zio to the Silent friend. In the letter egli tells us how much happened to the zio the day of the erection of the Vesuvius; in that I make sentences these was to the leader of the imperial fleet that it is found I press the port of head Miseno, not far off; the event tickled the curiosity of the scientist; egli it is starting with a small ship to take sight from neighbor of the weird phenomenon, when the was carried a cards of Rectina that it prayed to go it save as It had not other road of escape if that not from the sea. LETTER. Our Rectina therefore had a splendid villa I press the head Miseno, from the part of Erculaneum, the zone where brought to do themselves the baths the families Richer and prominent person of the period. The story of Plinio the Young one does not add other on the events of the our Rectina, but the enrolment found to Casalpiano gives back us reasonable certainties that the owner of our villa succeed to find the way to save itself To the point to go to spend the remainder of the time to Casalpiano. From the words of Plinio the Young one is extracted that the woman, befriends of Plinio the Old one, was wife, or better widow, for some of Helmet, for other of Caesio (in him it has wanted to recognize from someone the poet Caesius Bassus; he was friend and publisher of another large Latin writer, Persio; second some sources classic, Low Cesio has been dead actual during the eruption of the Vesuvius), For other still (Van Buren, pp. 80 - 81) of Tuscus; Rectina, to judge from the enrolment, it was some gens Saves, of result the Van Buren propone Of to identify it in an it Saves Rectina Tusci. In these same environments ebbe way to move about also Marcus Anicius Gaionas (Enrolment B), that surely was one of the employees to the good operation of the villa; more late, perhaps in 111 sec. d. C. worked in the villa Natalis And Primigenius, a couple of slaves (Enrolment C). Between the varied duties that they had the inhabitants of the villa there it was also the making of the argilla; the same come realized it to its inside (Card 20); the study of the material rinvenuti during the excavations will be able to supply us Important data on the productive activity that VI developed him. Already sappiamo, however, that the structures of the building scompaiono before the VI sec. d. C.; to give us precious questo givened is the discovery of a necropoli surely used in the VI sec. 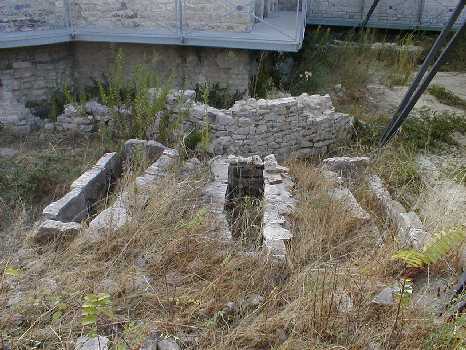 ; the graves come placed a little wherever second one a precise orientation (east-west) to cover at least a half of the villa, Particularly that of the mosaics. Until now were rinvenute more of fifty relevant graves to men, Women and children. L' environment is that of the Latin culture. 1 data that will be able to extract itself from the study of the necropoli I am a lot, Nevertheless one it takes on a special meaning: that cronologico. In effects two they are the historical facts important that interested the Sannio in questo I make sentences: the Ostrogoti and the Greek war-gothic, the before the beginning of the V sec., the second one of the half of the VI. 1 material up to now rinvenuti I is not such to make to decide for the one or for the other episode, nevertheless the second The likeliest one seems. Alarico, in fact, after the passing away of The Romans general Stilicone (408) accused unjustly of treason, ripiombò in Italy with its Visigoti; it plundered first Rome for three days (410) therefore moved verse italy meridionale mettendola to bag; the unexpected death I press Cosenza interrupted the resolution Of Alarico of to pass in Africa. With decree of the central administration dated 8 May 413 the provinces of Tuscia, Picenum, Samnium, Apulia, Calabria, Brutium and Lucania ebbero the esonero from the contributions for 5 years (Lloyd). L' other episode, that of the Greek war-gothic, can date itself to 535, with it MYSELF disembark some Byzantine armies in Sicily; the war durò with it events quite twenty long years, causing the economical and demographic collasso Of everything the peninsula. The military operations see the Sannio more times to the crash center for the strategic role that the region had in the to connect the provinces hit the center of- settentrionali with the province dell'Apulia et Calabria, to that they were bound the supplies of grain and the ports from that could flow The you strengthen from the east. Actual in these years, in 545, the king goto Totila taken again to the Byzantine the provinces meridionali and realized its "revolution" agricultural that stretched out To remove the farmers from the proprietors. Totila began to collect directly the rent that before was givened to the owner and the tax that it is poured to the tax authorities (Procopio, Says Attractive Gothic, 111, 18); the effects nevertheless did not give the results Hoped and Totila definitive was defeated in 553. It is of little successive (556-561) the letter of pope Pelagio 1 in which came invited Giovanni, bishop of Larinum, to hinder that the laymen interfered themselves in the administration of the monasteries of the Sannio, and to monitor it the good course Productive (it Aerated-Battle, pp. 212 - 213). Actual on this reality be revered the invasion longobarda that will carry To the passing away in the countries of the rich Byzantine officials. To you are itself they will replace the warlike longobardi while the farmers of these businesses, like that of Casalpiano, after to have changed their condition schiavile in a dipendenza from who holds the power, will return to cultivate their lands Pouring like contribution a third one of their produced. In the second half of the VII century in the Sannio will begin to appear the farae, typical rural installations of questo I make sentences, of whom a little note I press the close Guardialfiera, to back of the Biferno and near to is him Allocations benedettini. 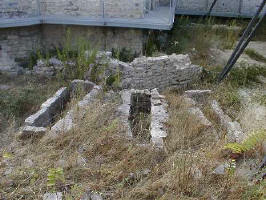 The ancient country villas of imperial age will come partially riadattate and between the ruderi will be distributed small cemeteries; in this reality will go Framed also the necropoli of Casalpiano. To the present state of the searches the flimsiness of the equipments tombali indicates a social state and economical Of the buried rather poor. What it will happen here after we cannot hypothesize it; we should await The one thousand year to have new certain news on Casalpiano. In the August of 1017 in fact the presbitero Pietro offers the abbot Atenolfo Of Mountain its Cassino part of the church of S. Maria of Casalpiano. In the October of the same year Martino, also egli monk and presbitero, it offers always the abbot Atenolfo the part of its relevance of the church of S. Maria of Casalpiano and the church of S. Apollinare in Casalpiano (Bloch, Pp. 276 - 277). The givened of file it agrees to affirm us that already before the one thousand year in the zone it existed two churches, but also that the place name Casalpiano is altomedievale; besides it leaves to foresee the presence here of one of those smaller installations named also fundi, vici, curtes, or you rent; to difference however of the fundi and of the curtes the casali sometimes seem to be administrative centers minor, more than simple property organisms; the likely Roman tradition of the place name it persuaould it think about a continuance of the ancient installation And that therefore the casalis does not be other that the slow villa-ancient renamed. How it is presented questo installation we is not in a position of to affirm it, even if it is to assume than it was formed from a series of buildings with relevant annexed: warehouses, you deposit of tools, oven, stables and other still, and Also, how we saw, two churches. Where it is situated S. Apollinare is not possible to say it with precisione; the archeological data to care I is not a lot, nevertheless is such from I would allow At least a hypothesis; in effects the space I post between the side wall of S. Maria and the hat of S. Michele does not present graves altomedioevali, while it is well obvious a war memorial; the givened would make assume the presence of a building Monk to side of S. Maria in which, with the timely prudence, could place itself The church of S. Apollinare, of whom we will not have more news in the successive documents Pervenutici. The structures romaniche of S. Maria and of the relevant hat, with the typical one decoration to hanging archetti, simply in their simplicity, send again to The Romansico Molisano, you draft that finds its saying spread between XIII and XIV sec. (Trombetta, P. 505). To the care we have a document of the 1215/39 (Leccisotti, p. 103) relevant to a debt of Montecassino of XIV ounces with Oddo Preposito "benefit Recolligenda ecelesia S. Marie Casalpiano says". It is not possible to establish if it is to report this S. Maria of Casalpiano Or to that passing away I press S. Martino in Pensilis, nevertheless the elements stylistic they suffice to attest that this church comes entire restored Actual in time of lapse questo. Of the decoration architettonica of the previous churches awn much little; in the structures of foundation of the canonica, like in the campanile or in the portico of entrance preceded from the arc with enrolment or also in the structures that they delimit a grave (TE11) interesting compaiono blocks worked that present a special decoration to specchiature given from a reticolo of rumbles, of balanced either of triangles extracted (or better scratched) on blocks of stone to smooth surface; this shape of ornamentazione creates, particularly conditions Of light, original effects cromatici. Blocks with same type of decoration they are present, always like materials of counting, it is in the cathedral of Guardialfiera that in the parrocchiale of Provvidenti (S. Maria Proposition), all next centers to Casalpiano. 1 archeological data agree to affirm us that these stones worked They are relevant to the church preromanica of S. Maria of Casalpiano; the conformazione of two of these boulders allows us of building that long the walls opened themselves of the openings surmounted from small arcs decorated with triangles, if not Of the true and actual monofore. To give a collocazione cronologica states to questo building is not possible; nevertheless we have some reference; one of these fragments in fact appears in a grave that it presents transversal orientation with respect to those more ancient; the element, although its importance, at present allows us alone of to say that, when the orientation of the graves changes, the church to specchiature It does not exist more. 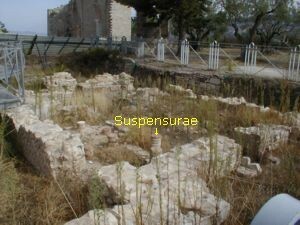 Considering that an of these burials with different orientation itself sovrappone to one of the walls that could make part of the old church, it is to hypothesize that when the graves change orientation, what it is assumed It was S. Apollinare does not exist more; is besides from not to underestimate that after The sec. XI we have not more document than cite S. Apollinare; while not We hear more to talk about S. Apollinare, the historical events-administrative Of S. Maria of Casalpiano will be bound to those of another important prepositura: That of S. Eustachio, I post between Colletorto, San Giuliano di Puglia and Bonefro. Questo monastery appears for the first time in 1049 when donato comes from "Adelferius, comes Beneventano says principatu from its mother Adeleita and from Its wife Adeltruda to the abbot Richerio of Mountain Cassino. 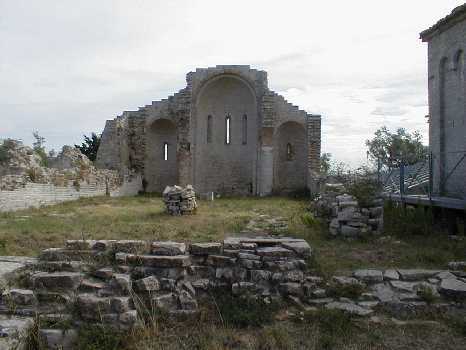 S. Eustachio, second how much tramandatoci from the document of donazione, is to place "in actual our territory ours castle propinquo here dicitur Sancto Juliano", at present San Giuliano di Puglia. The monastery is called of Pantasia or of Ficarola (Leccisotti, p. 104, Nt. 2), place name that still survives in a locality mail to little kilometers To west of San Giuliano di Puglia. The abbot Desire includes S. Maria of Casalpiano and S. Eustachio of Pantasia between the prepositure that it had to every year it supply a lunch to the main monastery (Leccisotti, p. 106, nt. 9). Between 1285 and 1288 Casalpiano still it is united to S. Eustachio (Leccisotti, P. 107, nt. 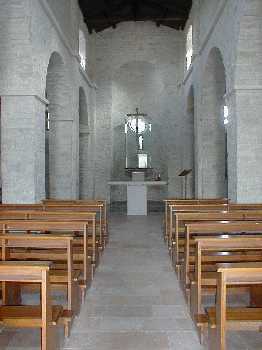 14) and the rimarrà still for almost two centuries. Sappiamo in fact that to the half of the XIV sec. is place to the leader of two prepositure Giacomo from Fishing, monk to that comes confer the assignment from the abbot Angelo 111 (1362-1366) and that takes the place of Michele from Cervaro; in 1381 the abbot cassinese Pietro says Tartaris confer the assignment for entrambe them prepositure to the monk Nicola from Morrone recalling in monastery Cristoforo From S. Germano (Leccisotti, pp. 121 - 122); in 1441 comes visited from the monk cassinesi Marino of Prussia and Baptist from Rimini, while in 1454 receives it It names of preposito of S. Maria the monk cassinese I Mark; likely egli It not as actual possession in that takes of it I make sentences S. Eustachio is divided From S. Maria of Casalpiano to to be united the prepositure of Troia and Ascoli; Between these it arrives to occupy the first place. It is questo also the period in which begin to entrust themselves the prepositure to outside persons to the order monastico, but is also the moment in which the Molise it comes hit from the terrifying effects of the earthquake of 1456; it is therefore from to retain that this is an of the causes that they do not make go the monk cassinese I mark to Casalpiano. In the chronicles of the period it is not talked about damages being derived from the earthquake For Morrone del Sannio neither for San Giuliano di Puglia, nevertheless come remembered those immediately from Casacalenda that... " penitus humi prostratum sexaginta personas Illa ruina oppressit..." (Son, 11, p. 74); simply being lacking the givened of file that it allow to know us if-Casalpiano have immediately of the negative effects from questo cataclisma, is likely that the earthquake have ugualmente carved on the life that it is developed to Casalpiano; in fact, even if it be it will not be damaged, it will undergo of it the indirect results, as is to assume that the zone verrà Hit from a serious demographic crisis and economical. It is of it a confirmation the ricostruzione make perform from the arciprete of Morrone, Don Ippolito Monsiliis says, finished in 1531. 1 intense activities, remembered from an enrolment placed on the arc of entrance, simply if with some uncertainty of the lapicida, it says in fact: "Has aedes abbas Hippolitus Archip. Morroni to honoph (sic) PB (sic) Virginis to fundamentis templum conlapsum Erexit TO. D. MDXXXT'; is certain that of this ricostruzione does part also the romitorio, structures that goes to replace it a most ancient one, of whom I am still visible the walls of foundation to its inside with much different orientation and the fencing in masonry that delimits the inside coffer with the well; of be Today they stay little tracks of the foundations on the south side. The church of S. Maria undergoes subsequently also other transformations; between these an of the most decided it is that operated from monsignor Pianetti, that Of S. Maria of Casalpiano is abbot between 1706 and 1725, year of its death. The Pianetti, that becomes also bishop of the diocesi of Larino, besides to rebuild big part of the left wall of the church, is most likely the one that it decides to make to rotate entire the church on same spostandone the abside On the wide opposite and putting the portal to the place of the first one. These transformations, readable on the structures of the present back part (where the masonries of the abside they do not bind with those more ancient), I am percepibili also on the present one entrance where the successive transformations did not cancel entire, At least in the high part, the restive of the ancient abside. To him it is also likely to attribute the construction of the present campanile; that in part is confirmed from the reading of the visit pastoral that monsignor Giuseppe Catalani does to the church in 1689 in which in the description says explicit that the bell it is hung up in the frontespizio, givened questo that would make exclude the presence of the Campanile to the end of the sec. 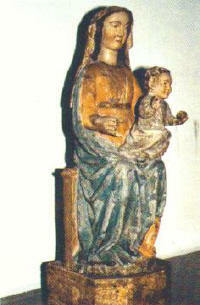 XVII (ADL). The new portal, low and you, verrà changed and rebuilded in style neoclassico in the dopoguerra also to facilitate the entrance and the exit of the statue of the Virgin; of the old decoration will stay the piastrelle dated 1893 mail above the present portal with the representation of S. Michele. Quite little it is possible to say on the battistero, whose chronology is varied interpreted; if certainly it comes built before the campanile, to that is submitted, although some rather recent remake, like the gothic window on the entrance and the inside, quite little succeed to say us the data of file; a lot less it allow to affirm the archeological data, if that not the structures Perimetrali graves you surround by of whom however it is awaited the excavation. As much it is to say itself for the monumentale rudere that it is placed to side Of S. Maria; the enormous church, with still whole its catino, does not present special decorative elements such to be able allow us a definitive its collocazione cronologica; his columns tozze and the capitals, substantially smooth, I is not certain of help; it leaves nevertheless perplessa the choice of to define it altomedioevale or preceding to the church romanica; his dimensions, the height of the structures they would make you show favor for an its collocazione in environment Goticizzante; the spurs you post to side of S. Maria like on the side wall of the rudere do nevertheless to think that the building does not be lasted a lot and that The interventions carried out have not givened some result. Perhaps in future the data that recuperare from the archeological excavation will be been able will be able to explain us Definitive the problem cronologico of interesting questo monument. Vale nevertheless the trouble to remember that also S. Eustachio was at three naves (Magliano, p. 190) and that the half of the XIV sec. was a moment interested from Different interventions of I restore or of truth and actual ricostruzioni. It is the case of the close cathedral of Larino; nevertheless also structures a lot more mattering they undergo substantial remakes; is questo the case of the badia of S., Vincenzo to the Volturno that it was entire destroyed to continue some earthquake of 9 September 1349, so like the was the monastery desideriano of Montecassino. The plant of questo building propone, so like in other, a relation of one to two between the dimensions of the you show and of the side walls (m 15 X 33); the dimensions they could seem considerable, but you suffice a comparison with the measures of that Of S. Vincenzo to the Volturno (m 23,5 X 48) to make to consider those of the ours Rudere not certainty exaggerated.